Misty Bliss is an annual cultural festival held at Holywell, the main recreation area within the Blue and John Crow Mountains National Park, to celebrate the designation of Jamaica’s first national park in February 1993. This year’s event will be held on November 29th starting at 10am. 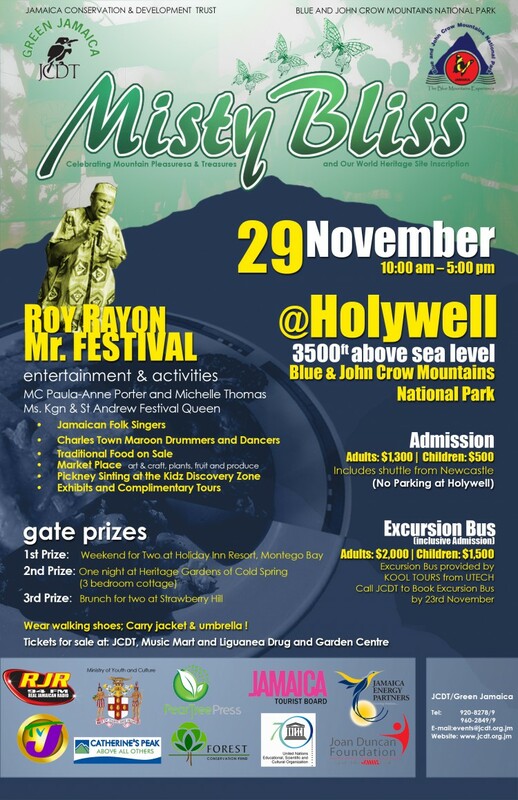 Misty Bliss 2015 will be held on Sunday, 29th November to celebrate the inscription of the Blue and John Crow Mountains on the UNESCO World Heritage List confirming the outstanding universal value of both the cultural and natural heritage of the site.